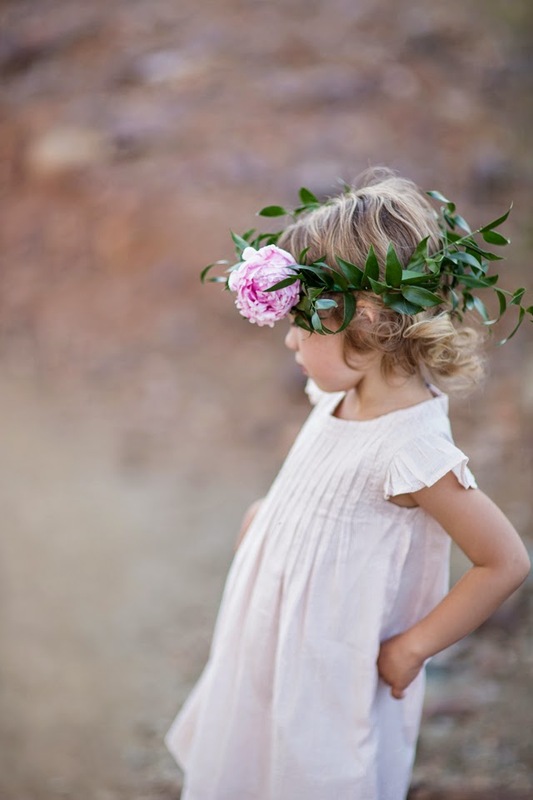 Happy Wednesday Lovelies! 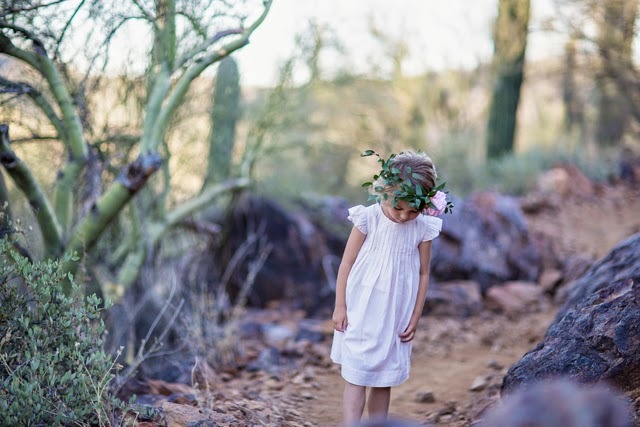 It's the middle of the work week and I have a dandy of a photo session that will give you that extra pep to your step to get you through to Friday! 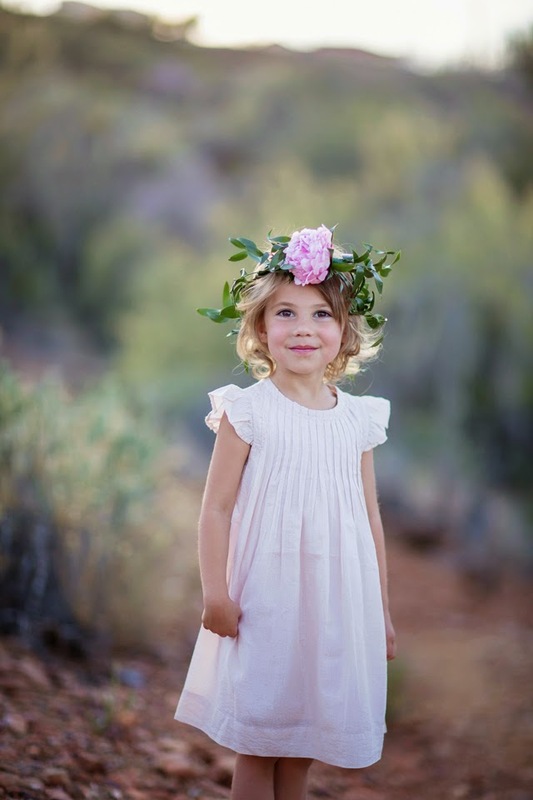 In today's darling feature, we are celebrating little beauty Brooke turning 4!! 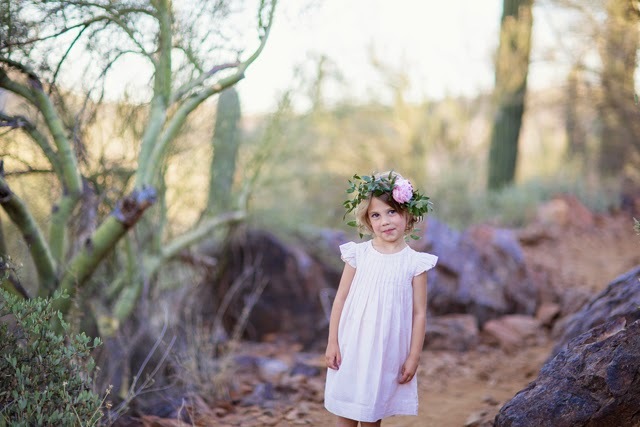 Not only is she adorable, she is the daughter of incredible Arizona photographer Lauren Ristow! 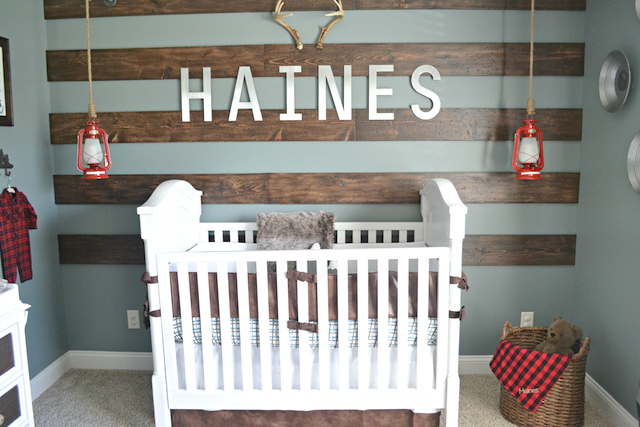 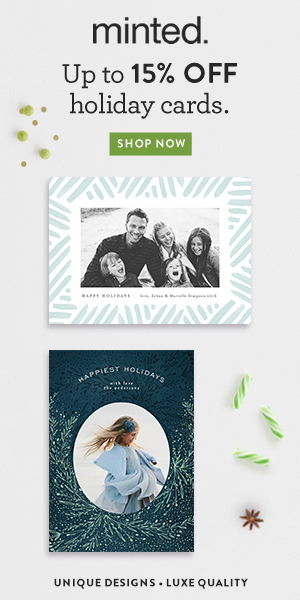 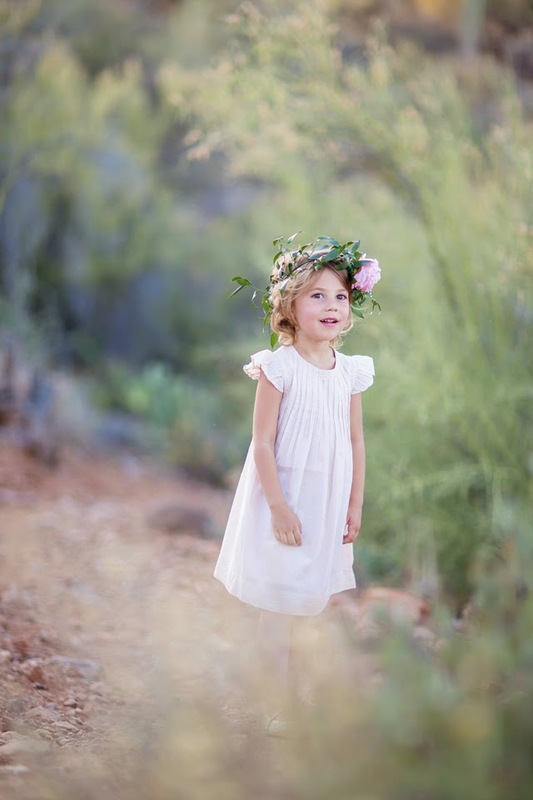 Lauren Ristow Photography is no stranger to Fawn Over Baby, as her work has graced our online pages many times. 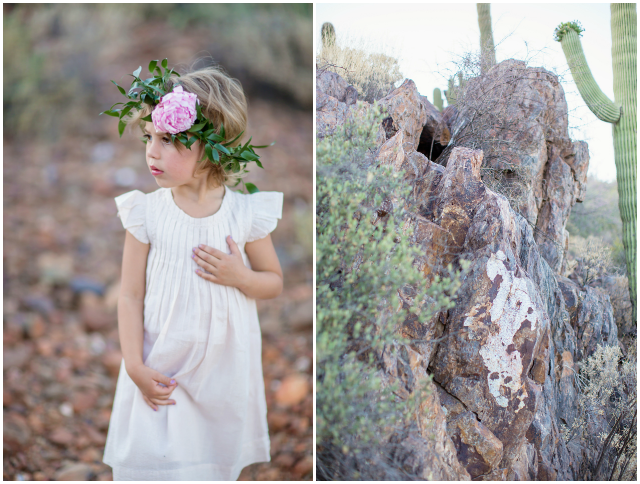 (here & here ) Lauren's portfolio is truly amazing and today's celebratory mini session of her baby girl turning 4 was no exception! 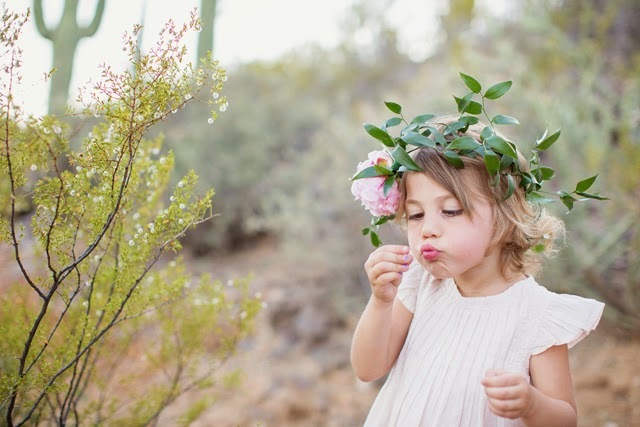 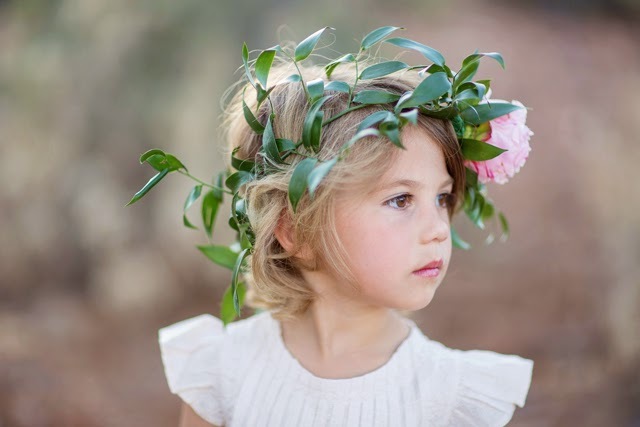 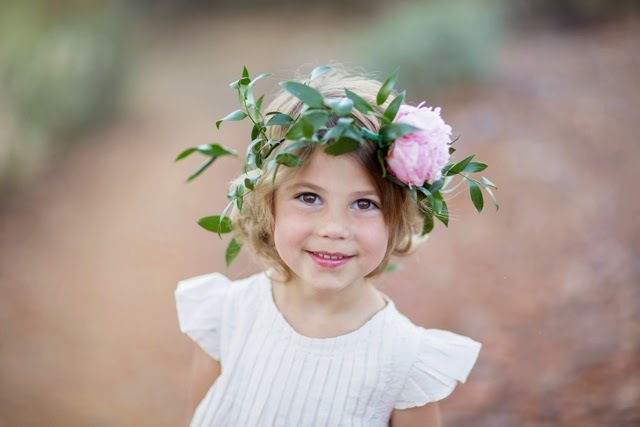 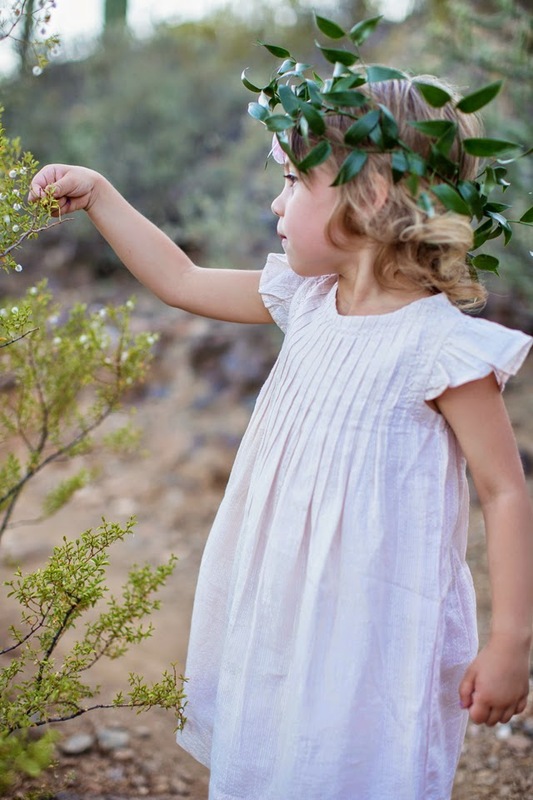 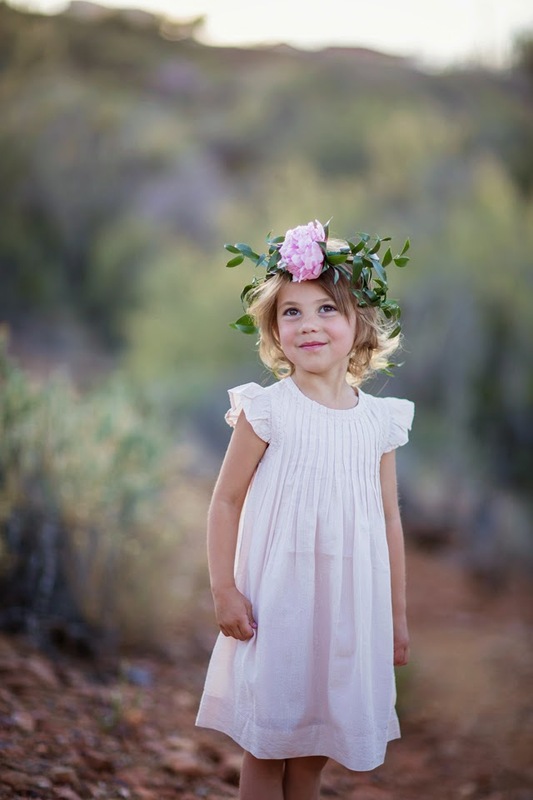 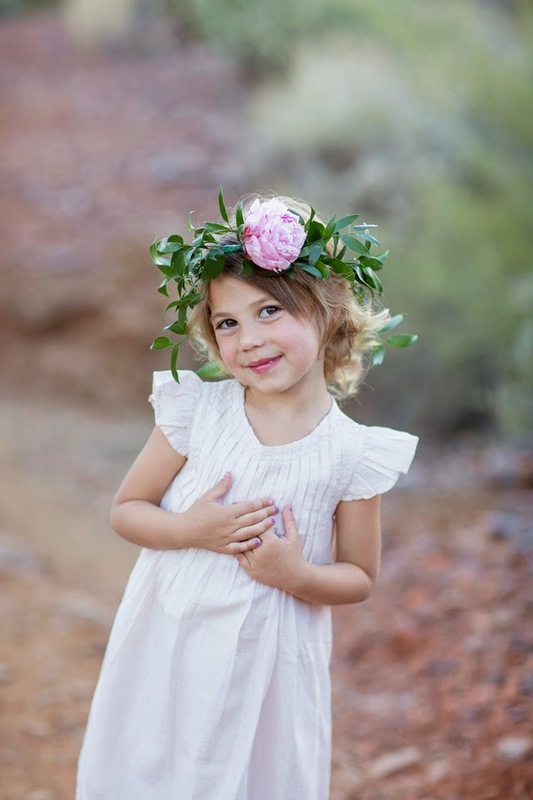 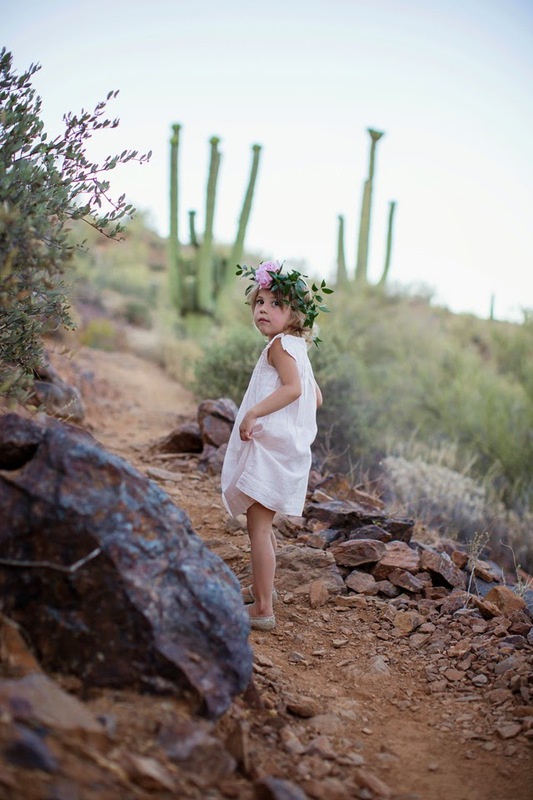 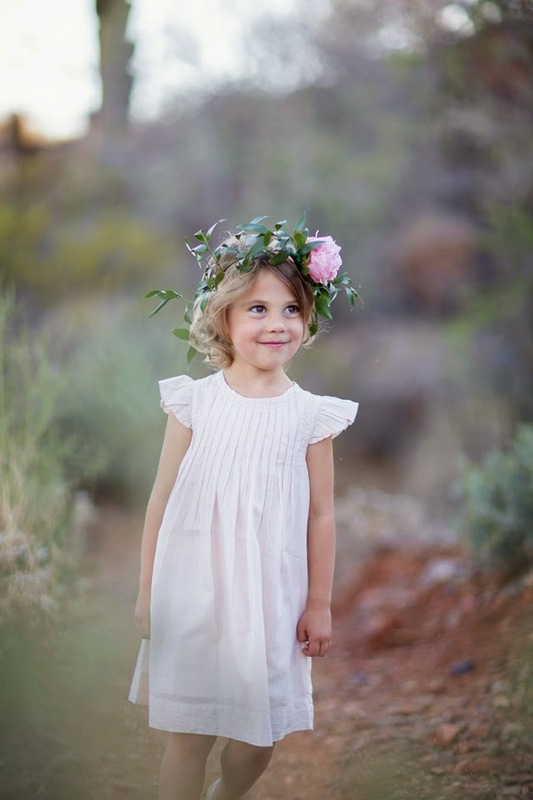 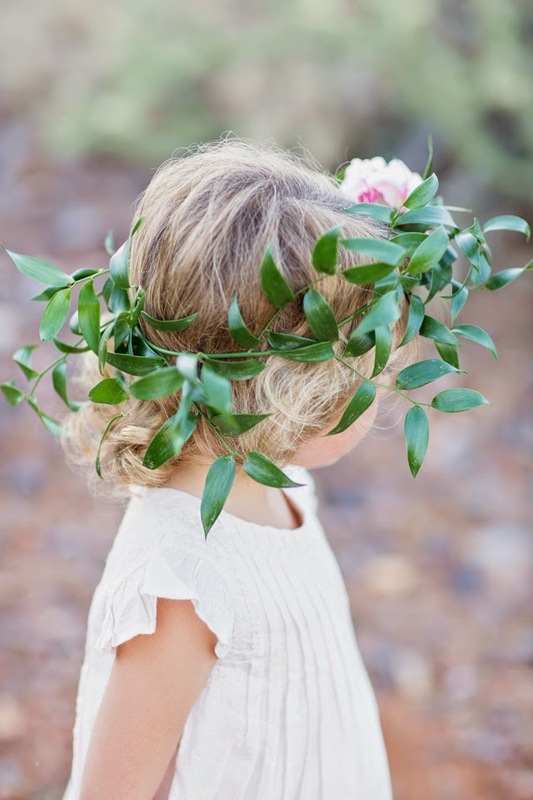 Located on a hiking trail near Prescott, Arizona, Lauren used the natural light and gorgeous landscape to set the stage for her little bohemian princess to shine. 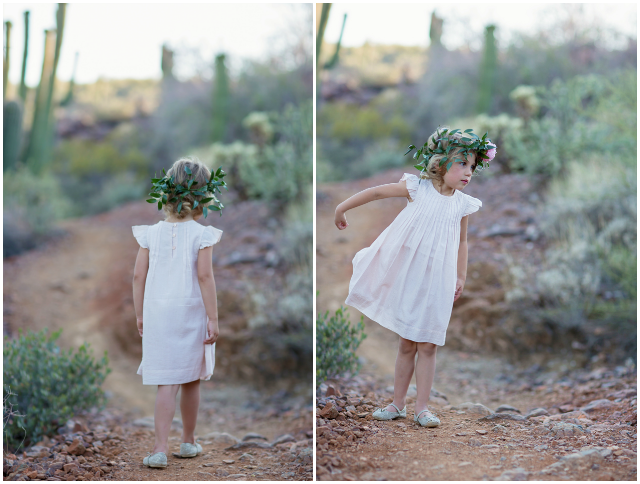 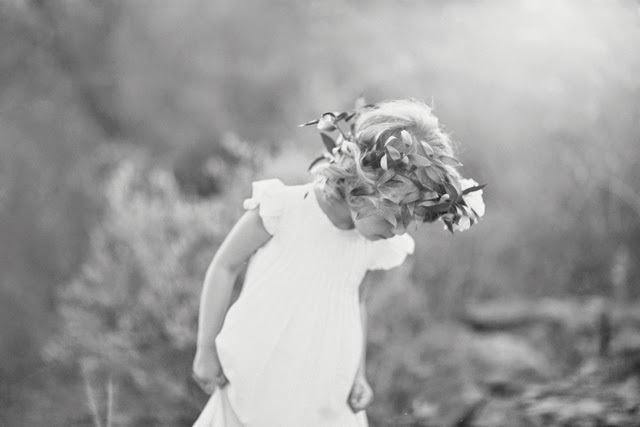 Brooke's precious floral halo and simplistically sweet flutter sleeve dress had me at hello! 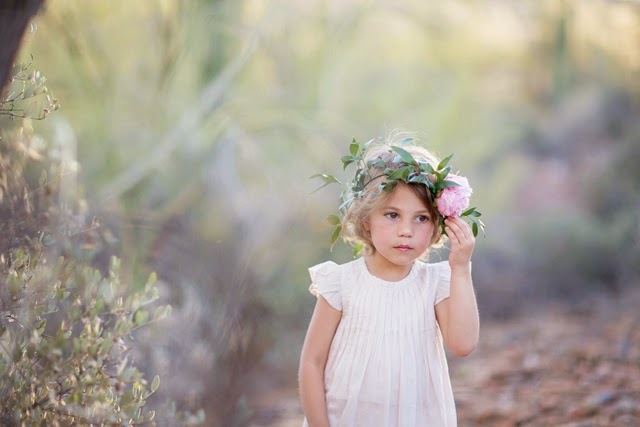 I love how natural and organic Lauren's approach is to her photography. 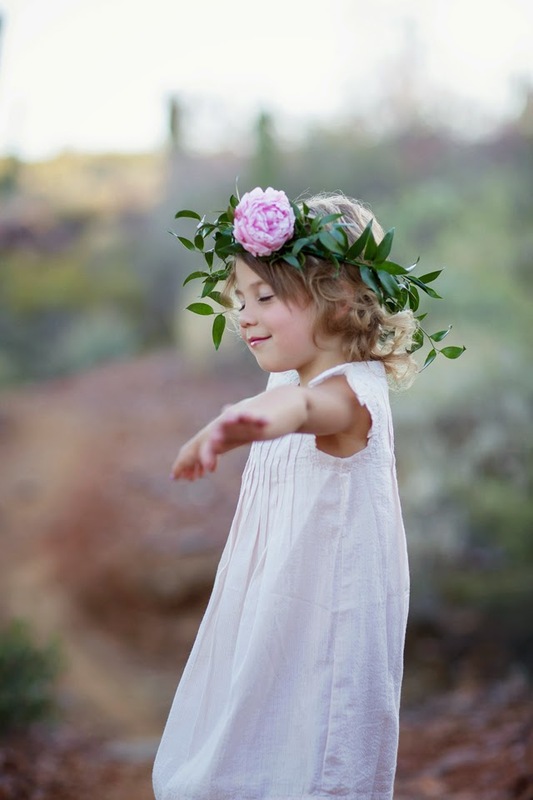 Simply following her daughter's lead, she captured the true essence of her personality and true spirit of the day. 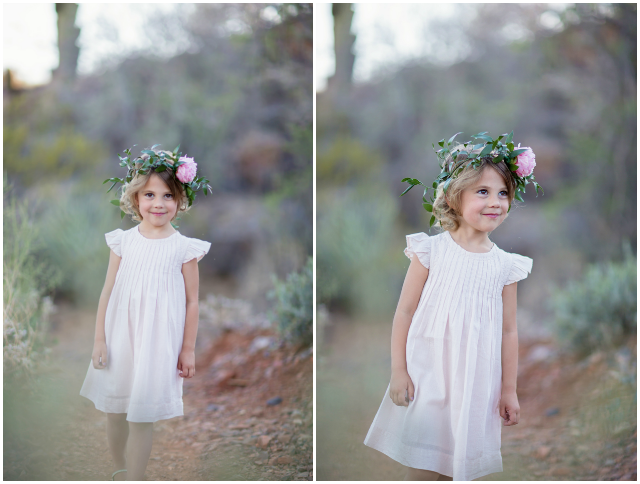 These photos mark such an exciting moment in time for Lauren and I know she and her family will treasure these adorable gems for many years to come!